We're currently renewing our asbestos framework which is out to tender until 11 June. Our construction team works hard to support our Scotland’s local authorities in sourcing the wide range of goods and services they need to maintain their extensive building stock in their local areas, as well as upgrade projects they’re taking forward. We’re very proud of the comprehensive portfolio of construction contracts we have built over the past ten years. One of the long-established contracts in this portfolio is our asbestos framework, which has been supporting our members since its launch in early 2011. The framework is currently out to tender as we work towards its renewal, offering opportunities to suppliers across three lots: surveys; removal and disposal; and analytical services. 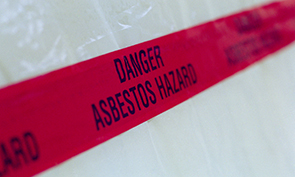 Asbestos is one of the most regulated industries in the UK. It’s crucial we use our experience and expertise in this area to continue to support councils and housing associations in ensuring housing stock and other public buildings are kept up to date in terms of asbestos surveys, removal, and testing. The current framework has been in place since 2014 and has seen around £16m worth of spend with overall savings of around £3m generated collectively for our members. Several key suppliers in the market have taken part in the framework, as well as SMEs. The framework ensures quality and compliance with legislation covered by United Kingdom Accreditation Service (UKAS) accreditation and HSE licences. The renewal builds on previous generations by fully incorporating new legislation, guidance (including the revised HSE analysts' guide), certification, and codes of practice. Our member councils have been key in shaping this new framework. Council technical staff and SEPA have also been fully consulted. We’ve had confirmation from 29 Scottish Local Authorities that they will use the renewal framework, which has a forecast spend of £48m over four years. The renewal also has a new-look rates schedule following consultation with councils and suppliers. It will now include mobilisation and clearance set up costs. Council technical staff were key in designing this. Tender closes on 11 June with the framework set to be live from November 2018. Full details are available on Public Contracts Scotlnd.